For those who know zzz’s current craze with Japanese cooking. Strictly speaking, its not a craze. he doesn’t cook everything Japanese. But I think he does have a liking towards the exquisiteness and simplicity of Japanese cuisine. Anyways, it GOOD news for me. I LOVE RAMEN. They are one of the tastiest, affordable and hearty meal to have, especially on a cold or rainy day (that’s if they make it right). 1. Make the soup. In a large pan, bring the water to boil and add chicken stock, pork stock, soy sauce, kombu cha powder and salt. Bring to boil again , then turn the heat down to lowest possible and prepare the noodles. 2. In a separate pan, bring a large quantity of water to boil and add noodles. Cook until al dente and drain. 3. Divide the noodles between 4 large warmed bowls and ladle in soup. Sprinkle chopped spring onion and the menma on top along with some sliced pork. Add pepper and chilli shochu to taste. 2. Wipe of any excess oil form pan (with kitchen towel). Add spring onion, ginger, soy sauce, sake and sugar. Pout in enough water to almost cover pork and increase heat. Once it boils, turn heat down to medium, skim the surface to remove any scum and simmer for 40 mins. During this time, turn the pork a couple of times and keep removing any scum. 3. When water is reduced by half, add eggs to the pan with pork. move them around from time to time to ensure even color. 4. When water is reduced to about 100ml (about 1/2 cup), turn off heat and leave to cool, then slice pork and cut the effs in half. 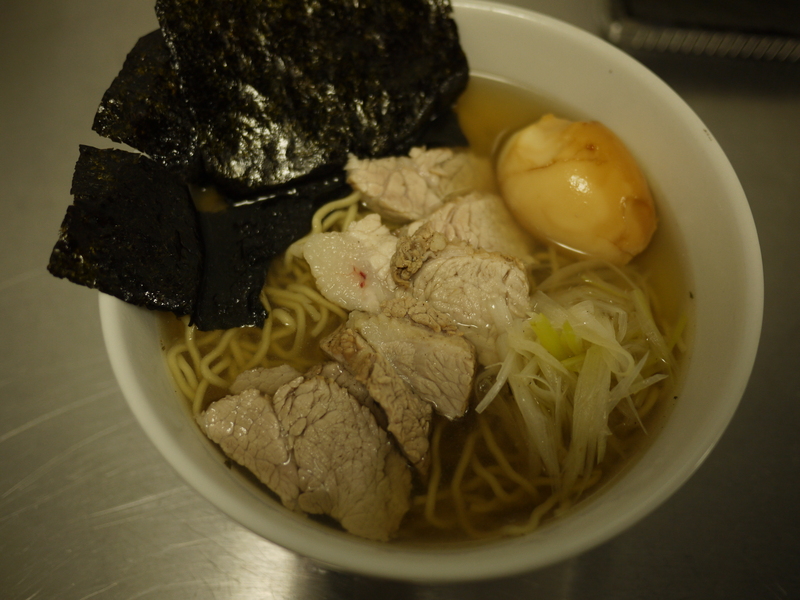 Use the stock to make ramen and put meat and eggs on top. 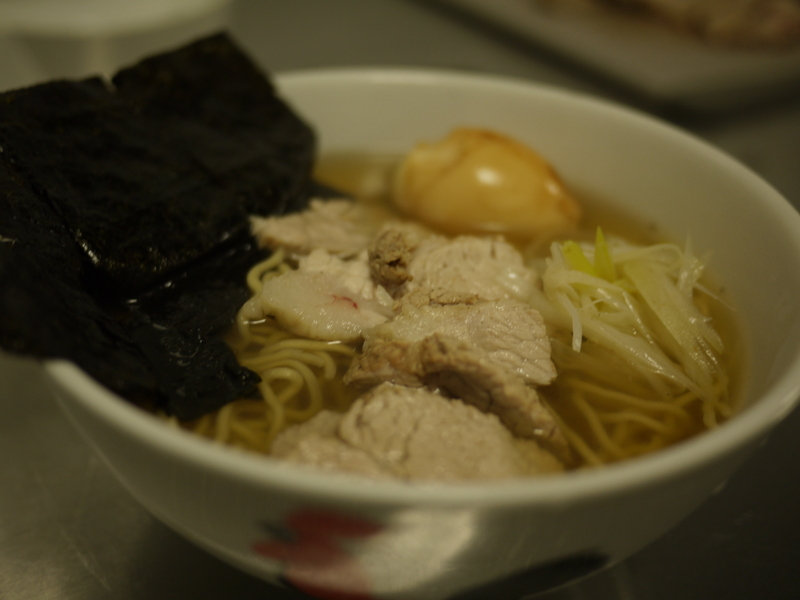 This entry was posted in Cook and tagged eggs, Japanese, ramen, sliced pork on July 30, 2011 by three3seconds. 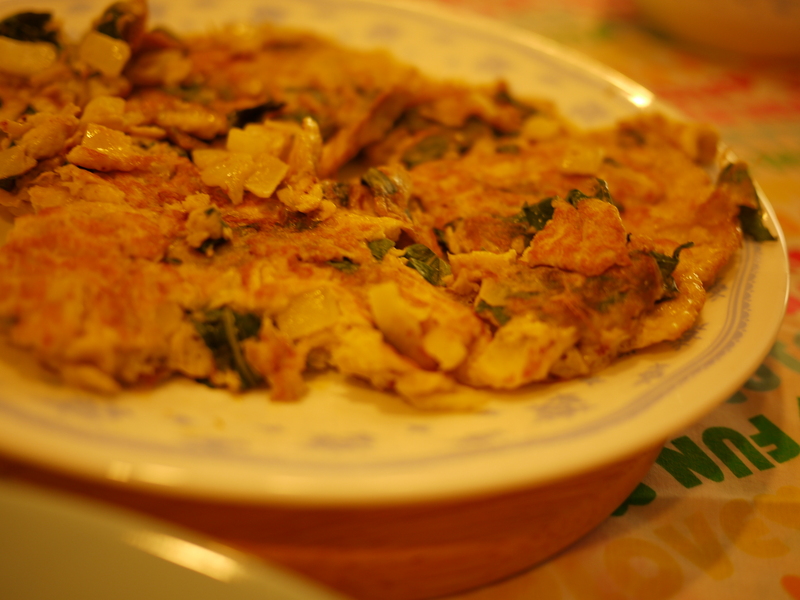 So thanks to a free cook book resuling from a recent Hakka dinner, zzz was inspired to venture into Hakka dishes. Was slightly challenging to find recipes which had less meat and less sauced, but in a way, that’s why its sometimes s delicious right? 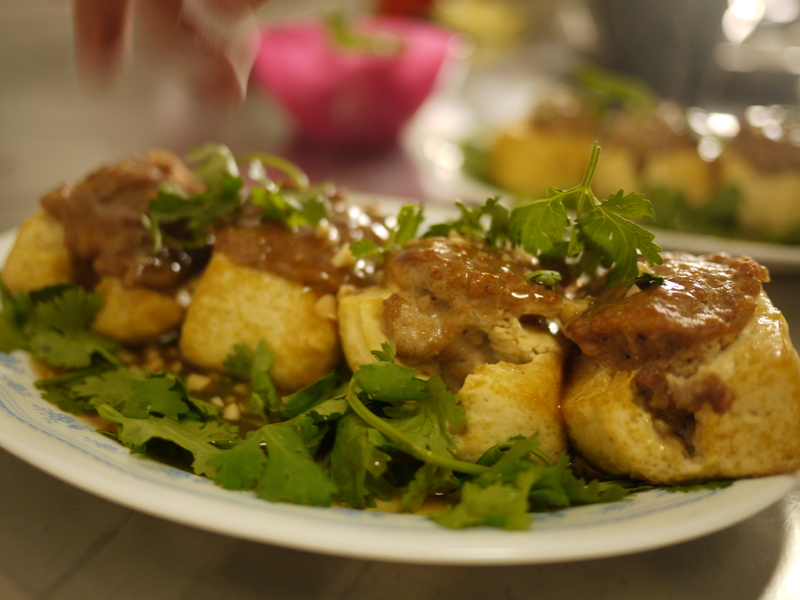 More to come, maybe his next attempt would be the Hakka shuan pan zi. 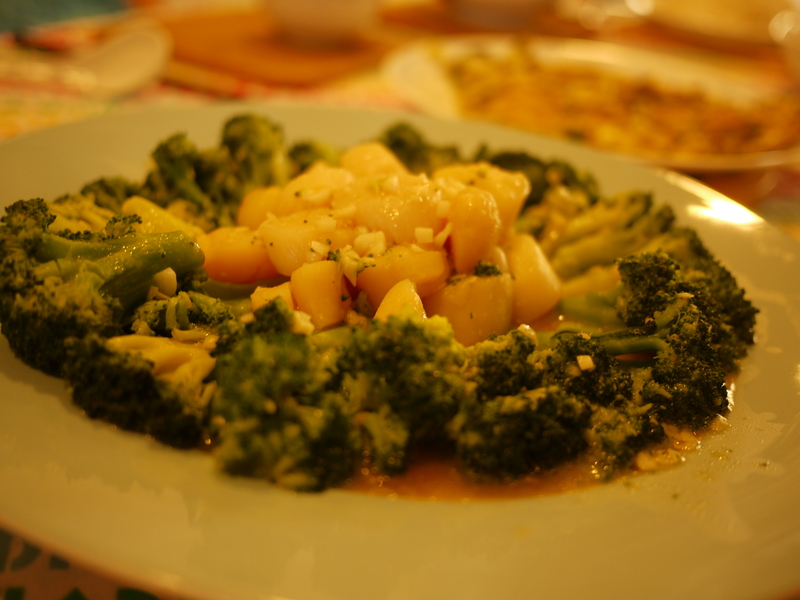 This entry was posted in Cook and tagged chinese, Hakka, nian g tofu on July 19, 2011 by three3seconds.